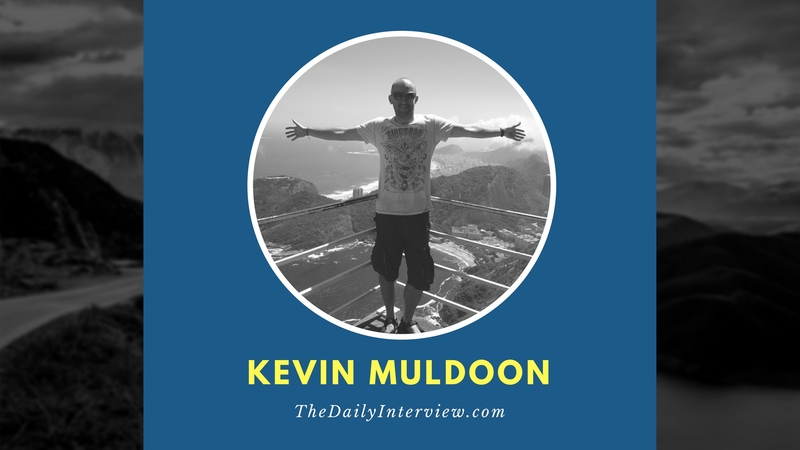 Kevin Muldoon has built and sold blogs, he’s made $20,000 a month in affiliate commissions in the gambling niche, and he’s done a lot of freelance writing/blogging. In this interview, he walks us through his journey, explains how he built large audiences for his blogs, and goes in depth about how — and why — certain writers can command over $100 per article. Kevin, I’m a big fan of your blog at KevinMuldoon.com. In particular, you have a lot of great content about blogging and freelance writing, as well as getting the most out of WordPress, and I really like how you publish income reports. How did you get into blogging? To be perfectly honest, I have never been able to devote 100 percent of my time to the blog. I’ve always focused more on other projects, or, more recently, on freelancing for others. However, my blog remains an enjoyable place for me to write about anything and everything. I have a lot of plans on how to develop it over the next few years. Here’s hoping I make the time to put those plans into motion. Sharing the income reports is not something I ever envisioned doing, and I started doing that only because readers kept asking me to do it. What can I say? I’m susceptible to peer pressure! With regards to my experience, I won’t bore you with my whole journey, but let me explain briefly how I fell into blogging. I started working online in 2000. Initially, my friend Eddie and I registered some domain names because we had heard that you could make some money by selling them. After realizing that the name I registered was not going to sell, I developed a website for it: an online shopping directory that I built from scratch using Notepad. Looking back, I realize it was crazy what I did to keep that website updated. Changing one small thing in the sidebar meant updating over 100 HTML files manually! Still, I was extremely focused on improving, and after picking up some affiliate commissions through the directory, I was encouraged to develop more websites. I developed dozens of content websites and forums over the following three years, making more money by selling those websites than anything else. I then moved into the gambling niche and made a lot of money through that. At one point, I was making over $20,000 a month in referral commissions. Commissions decreased after that because I was traveling and not devoting my full attention to the website; however, I was still earning money through those referrals until as late as 2010. I first caught the traveling bug in 2003. In 2006, I was setting off for my third adventure. This was before websites such as Facebook were popular, and everyone just shared photos and updates via email. However, I chose to update friends and family through a blog. I also added a blog to my poker discussions forums and built a few other small websites using blogging software. I soon realized how great blogging platforms were as a content management system (CMS), so in early 2007 I launched Blogging Tips, a website that I later sold. Before then, I had already started planning my next blog, WPMods, which focused solely on the WordPress platform. I sold that in 2012. I was traveling around South America for a year and didn’t want the responsibility of maintaining a blog every day. 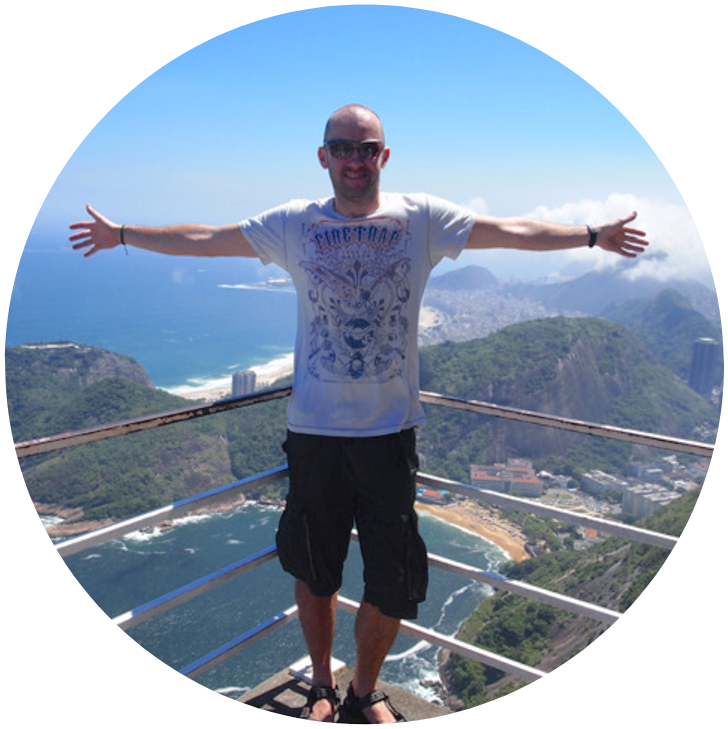 When I returned home a year later, I started freelancing to boost my income. It was never something I had planned on doing long term, but I’ve been enjoying it and I’m lucky to have some great clients. I’m in a position now where I have to turn down clients regularly, so I may have to increase my rates soon. My blog: I write myself and have one or two writers who occasionally post too. Freelancing: At the moment, this takes a large percentage of my time. Rise Forums: My internet marketing discussion forum. This is my main project at the moment. Over the next year, I will be investing a lot of time, money, and energy here. I also make small updates to several other websites I own every now and then. What do you consider to be your greatest success so far in business? I still feel very lucky to do what I do. The fact that I can do work while traveling around the world amazes me. When I started traveling years ago, I had to spend hours sitting in internet cafes, trying to update my websites through a 56kb connection that I shared with 20-plus people who were checking email. Today, it is possible for me to pick up a $300 laptop anywhere in the world, download a free text editor such as TextPad and a graphics program such as GIMP, sync important files from Dropbox, and start making money. It still amazes me that I can do that. However, my poker forum TexasHoldemForums was my first real success. From 2000–2003, I had made thousands of dollars through affiliate commissions and building websites and selling them. In hindsight, this period was a great learning experience, and I still rely on the skills I learned during that time, but I didn’t have too many successes. The success of the poker forum allowed me to be self-employed and generate a passive income that persisted for several years. I sold Blogging Tips and WPMods for $60,000 and $80,000, respectively. At the time, it was the right thing to do, because I got a good price for the them. But I would hate to say that selling them was a success. I view the development of those blogs as successful, because I put a lot of hard work into making them as popular as they were. When I sold Blogging Tips, it had over 2,500 posts, and I had written around 1,000 of them. It was getting a few thousand visits per day. I was a more experienced blogger by the time I launched WPMods, and with zero investment I managed to take it from nothing more than a domain name to a blog that generated $2,500 per month within two years. The growth of all of my websites has been slow and steady, but I think they are evidence that if you work hard and treat your blog like a business, it will become successful. When you first started blogging, what were some of the primary tactics you used to build an audience? I stopped updating the blog that I had added to my poker discussion forum, and the other websites I built using blog software were small content websites that were not updated regularly. Additionally, the travel blog I had created in 2006 was only for family and friends. Therefore, I consider Blogging Tips to be the blog for which I first started blogging seriously. I tried a lot of different things to build an audience within the first year. First, I was enthusiastic. I really enjoyed what I was doing and this came through in my articles. I was also a prolific writer who published articles at least once a day. Sometimes I would publish two or three times per day. I had launched Blogging Tips while I was living in Auckland, New Zealand. We had a great little apartment that was located diagnostically across from the iconic Sky Tower. Our three-month lease was coming to an end, and we were setting off for a 6 six-week bus journey exploring the north and south islands of New Zealand. To ensure that my posting frequency did not drop, I wrote a blog post for every single day that I was away. This ensured my blog did not lose momentum while I was traveling. It was this kind of dedication that helped me build the blog. Content was not the only thing that I worked effortlessly on. I also actively commented on other blogs to help network with other bloggers. I had many great WordPress themes developed, too. Rather than sell them, I offered them free through WordPress.org and my blog. I had a mascot designed to promote my blog, and I paid for several reviews of my blog on other blogs. This helped establish a reputation for myself. Later, I wrote several useful ebooks and released them free to my newsletter subscribers, and I did some guest posts for larger blogs such as ProBlogger. Over the first year or so, I tried anything and everything. I networked, I published a lot of content, and I did everything I could to promote the blog. Some things worked, some didn’t. I know freelance writing is a bit of an art, and everyone approaches it differently. What intrigues me so much about freelance writing is that the business has so many different segments. There are people who essentially write garbage for $3 per article, and then there are others who are amazing writers and can command $100 or more for a blog post. The thing that I find most interesting is that there seems to be demand for each of these segments, so each has its place in this world. Natural writing ability aside, what is it that you think makes the $100-plus-per-article writers so successful? What’s the No. 1 thing holding everyone else back? There is a famous advertisement in the UK for the Royal Marines that states that “99.9% Need Not Apply.” The same should be said about blogging. I know I’m not going to win any popularity contests by saying this, but the vast majority of people who are making $3 per article deserve to be making so little money — and the ones who are making good money deserve to be earning that better rate. I started working with bloggers in 2007. I have since hired freelancers to write for me on over a dozen blogs and websites. At one point on Blogging Tips, I was receiving a couple of guest post submissions and emails about paid work every day. Sadly, 99.9 percent of them are garbage. Pure garbage. If you look back at my older blog posts, you can see that my writing has drastically improved over the past few years. Therefore, I do believe writing is a skill that can be improved and polished. For years, many website owners did not care about the quality of an article — they were focused only on getting keywords indexed by search engines. I was approached by many website owners over the years who expected me to write high-quality articles for pennies. They were under the impression that anyone can write. Technically, most people can write. It doesn’t take any experience to arrange a series of words and submit it as an article. However, there is a big difference between writing an article and writing an article well. Thankfully, the recent changes from search engines such as Google have placed a higher emphasis on high-quality articles. As a result, website owners are realizing that good writers are hard to come by. You may be wondering why I have such a negative view of the quality of work submitted by bloggers. I soon realized with Blogging Tips that most submissions were terrible. They were full of grammatical errors and spelling mistakes, and had little to no point put across to the audience. As a result, I never accepted any guest posts on WPMods. I only approached good writers who were paid for writing for me. I continue this policy on my personal blog. Despite paying writers to submit posts to my blog, the quality of submissions remains poor. A large percentage of bloggers make spelling mistakes and basic grammatical errors in their initial email to me. A large percentage go through the whole process of being hired as a blogger, but then never submit an article. Most posts are poorly researched and do not link out to relevant articles. Most do not include images. Despite asking all bloggers to read my formatting guidelines (use of header tags, images, links etc. ), I find that most bloggers advise that they will do so but then they submit an article that breaks those formatting guidelines. As a blog owner, I am always on the lookout for good bloggers. However, as a freelancer, I can see quite quickly when someone is cutting corners. For example, I recently had a submission in which the article did not follow my writing guidelines. I asked the writer to quickly change the formatting details. He replied that he had, when he had not. He did this a few times and made one or two small changes each time, while leaving all the other mistakes there. That kind of thing takes up a lot of time for a blog owner. If the blog owner gives you a second chance to address the issues, you need to get it right once and for all. Good writers spend a lot of time making sure an article is of a high quality. Each article they write is written for a specific website and topic; however, each article is also an advertisement for their services. I have not had to apply for a writing job in a long time. All my clients have found me through reading one of my articles on another website and then contacted me about writing for them. Do not take a pride in their work — every article you write should be an advertisement for your services! The last point is perhaps the biggest issue. Every good writer reads over their articles once or twice to pick up any mistakes that slipped through. The reason writers like me can charge around 20 cents per word is because we spend a lot of time ensuring the quality. It is not uncommon for me to spend five hours writing a 1,000-word article, because I need to research every point I make to validate whether it is true. I hope this hasn’t come across as too negative. On a positive note, this means that you can stand out from the crowd by taking the time to improve your craft and submit high-quality articles. For someone who is just starting out wanting to get paid for blogging or freelance writing, what advice would you offer? What do you wish someone had told you about when you first started? I believe the first thing you should do is launch your own blog, even if it is just a personal blog that you have no long-term plans to develop. You need a place to put down your thoughts and get into the habit of writing every day. Reading books and other blogs, and writing more frequently, will help you improve your own writing. It will not happen overnight, but you will soon start to notice your writing improving, particularly if you review English grammatical rules again (which, no doubt, you have not reviewed since you were at school). You should also try to publish several articles online to demonstrate your writing ability. You can do this through your own blog or through blogs you have written for in the past. Ensure that your name is attached to any articles you publish. If your articles are good, it should convince a website owner to take a chance on you and hire you. Once you have one client, it becomes easier to secure your second, third, fourth, etc. I wouldn’t focus solely on the money aspect of blogging. If you focus more on becoming a good writer, the money will follow. If you are unsure of anything, don’t be afraid to pick the brain of a blogger you like. They may be willing to give you advice if you approach them in a polite and professional manner. I rely on many tools and services such as WordPress, TextPad, FileZilla, Photoshop, Dropbox, Gmail, Google Docs, Todoist, social media, and more. However, one of my favorite resources is Amazon. Or to be more specific, Amazon Books (affiliate link). For around $50, I can buy around 10 to 15 books on a subject and gain enough knowledge that I could write a book on it myself. That is powerful — and when you’re a blogger, that is a quality that is going to set you apart from others. You can really tell the difference between articles that are written fast off the cuff and those that are painstakingly written and researched. The problem is the profit margin on the smaller ones is probably much greater, which is a shame. It means we are proliferating the internet with so-so content. I think it’s a good philosophy to only solicit writers whose work you admire, as Kevin does. I started following Kevin 5-6 months ago when he sponsored a giveaway on my blog. As I read more about him, I was mesmerized. Such a huge number of projects, and all worked awesome for him. Kevin is very helpful at RiseForums and gives his best to help newbies as well as experts. His journey throughout is inspirational. Thanks for bringing him on board and sharing his success story with us. Thanks for the comment, Kulwant. I agree, Kevin’s journey has been very inspirational. I haven’t tried freelancing myself yet, mainly because I’ve been too busy focusing on my own blogs. What Kevin says about quality is so true. I’ve read a lot of blogs where the blogger actually states that he/she spends 20 minutes writing an article and therefore they can publish x amount of articles a day! This actually really discouraged me because I will never be able to write an article in 20 minutes, so how can I compete? I’m too much of a perfectionist! That being said — and this is not meant as a brag — English isn’t even my first language and the quality of my articles, together with my spelling and grammar, is 10 times better than at least 80 percent of the other blogs available on the internet! That’s just sad.